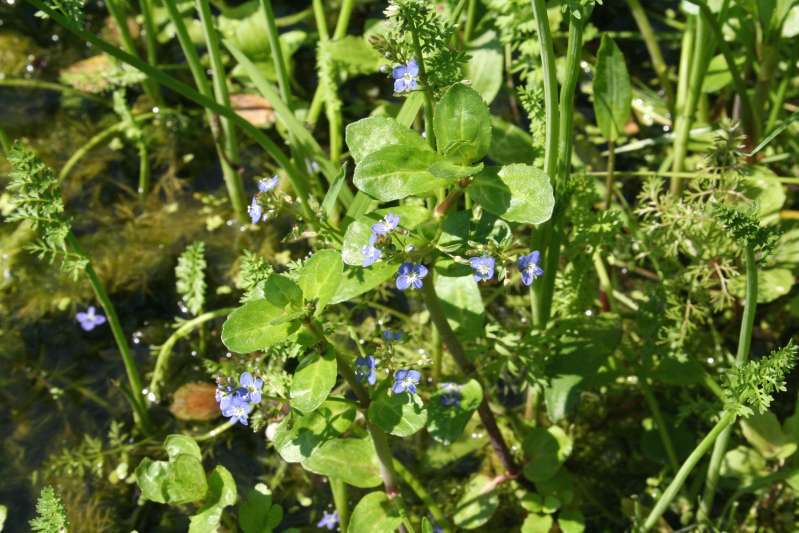 Brooklime is a very common plant in ponds, rivers, bogs. It can over-winter under water and it can also grow in rather drier places on occasion. As the first photograph shows, it has a very pretty (if rather small) blue flower. When conditions are right, it grows in profusion and can form dense drifts as the second photo illustrates. As a food plant, its texture is as good as it looks. However is has a strong flavour which I find not so pleasant. 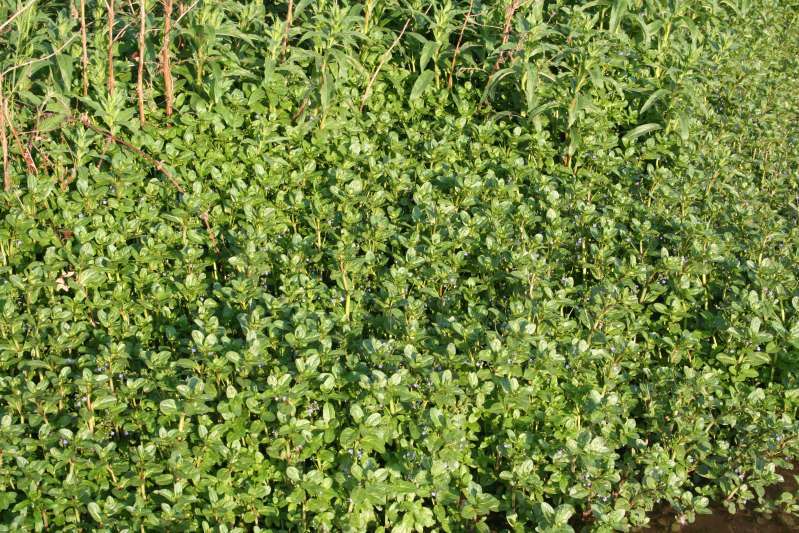 However it is very common and available all year, so worth experimenting with, but don't add too much to a salad - unless you happen to like the taste! Photo 1 taken 13th May 2008. Photo 2 taken 9th May 2008.